Common inflammation is easily recognized with symptoms such as redness, pain, heat and swelling. This is part of your body’s natural process to protect itself from illness, infection or injury. When the inflammation occurs, it signals the body to increase its production of white blood cells and other substances to fight infection. However, chronic inflammation can often occur inside your body with minimal noticeable symptoms. 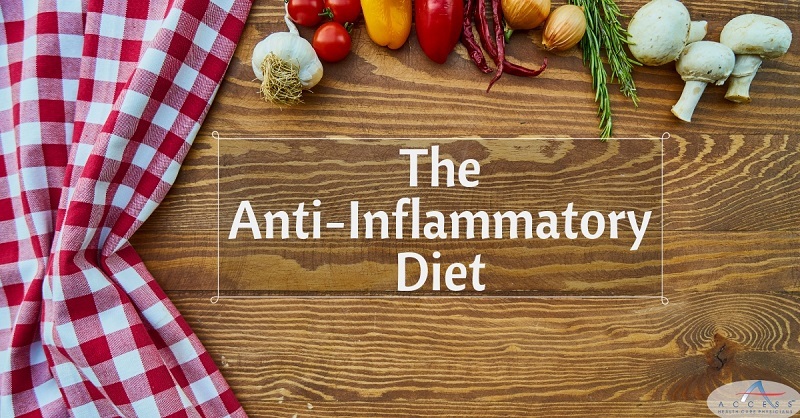 When this inflammation lasts long-term, your body is in a constant state of alert. Chronic inflammation has been linked to heart disease, cancer, fatty liver disease, irritable bowel syndrome and diabetes. Inflammation can be caused by stress and other lifestyle factors such as consuming high amounts of sugar, processed foods, refined carbs, alcohol and processed meat. 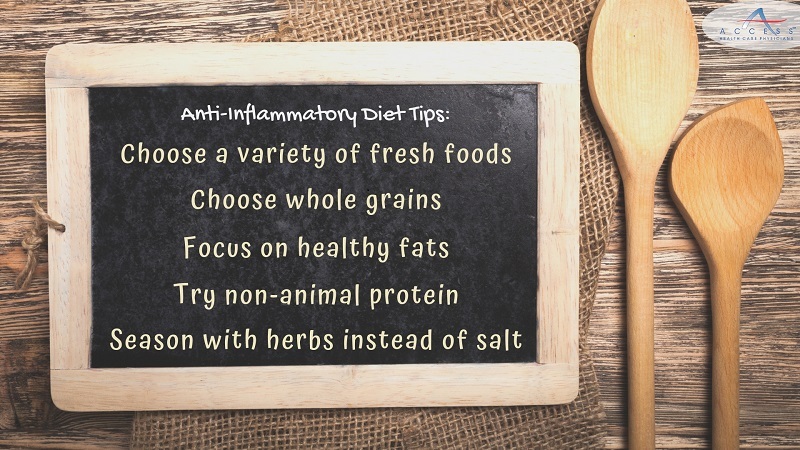 By eating a healthy, balanced diet full of anti-inflammatory foods, you can help reduce the inflammation caused by diet and lifestyle choices. This type of diet is really more of an eating plan and focuses on foods rich in omega-3 fatty acids, packed with antioxidants and are nutrient-dense. Now, on to the good part! Eating an anti-inflammatory diet can be delicious! Along with the foods above, try to drink more water, incorporate more exercise in your daily lifestyle as well as get the recommended amount of sleep. Instead of seasoning your meals with salt, try adding fresh herbs and spices; even better, try using anti-inflammatory herbs like ginger, garlic and turmeric. Eating a variety of whole, nutrient-rich foods on a daily basis, while reducing your intake of sugar-filled and processed foods will result in reduced inflammation and an increase in overall health. A vegetarian diet and the Mediterranean diet are both strong choices when aiming to reduce inflammation. As always, anytime you are ready to begin a diet or lifestyle changes, it is worth discussing with your doctor to ensure that the decision is right for you. For more articles like this, and fun posts – make sure to “like” and follow us on Facebook & Instagram!